Ankur Exports was incorporated in the year 2000. Since then it has made rapid strides in the export of high quality stainless steel kitchenware and a diverse range of pet products. On the basis of its range, designs and quality, it has carved a niche for itself in the international market. The promoters of the company have been in the business of manufacturing stainless steel products for more than two decades. 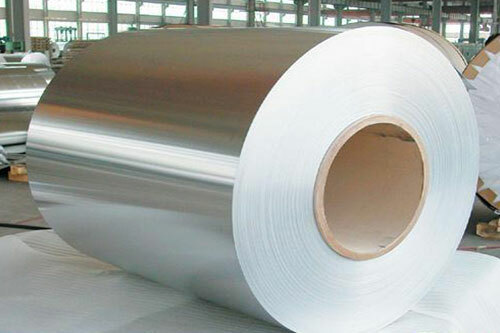 After having catered to the needs of domestic market and exporters of stainless steel goods for many years, the company finally decided to get into export business in the year 2000 by launching Ankur Exports. At present, the company has a combined annual turnover of over 7 million US Dollars. Its strength lies in having its own one-stop-shop manufacturing facility. This state-of-the-art facility is in the industrial area of Kundli near Delhi and is spread over 50,000 sq. ft. This modern facility enables it to produce 300 tonnes of fine quality stainless steel products every month. AE also has an in-house R&D section complete with a fully equipped tool room. It is managed by qualified metallurgical instruments and other professionals drawn from the industry. These people strive hard to innovate and develop new product designs and improve upon the existing ones. Our total in-house production capability gives us an edge in terms of product development and production and also helps it reduce production lead time. Ankur Exports also has an efficient and experienced team that looks after back room operations related to communication with its growing international clientele. The enquiries of its buyers are handled carefully and responded promptly. The company values its clients and believes in nurturing long term relationship with them. In the times to come, the company plans to reach out to more clients and also increase its production capacity. Ankur Exports (AE) has a large pool of 200 multi-skilled workers ably managed by a core team of seasoned professionals and technocrats. AE strives to provide hazard free and well lit work environment to its people. Its success lies in the welfare and prosperity of its people. It believes in encouraging them to deliver, perform and a good performance never goes unrewarded. Quality is an inherent aspect of the work culture of the company. It has devised QC check points at every stage of production. Its QC personnel walk that extra mile to make sure its buyers get products as per their exact specifications in terms of design, quality and finish.